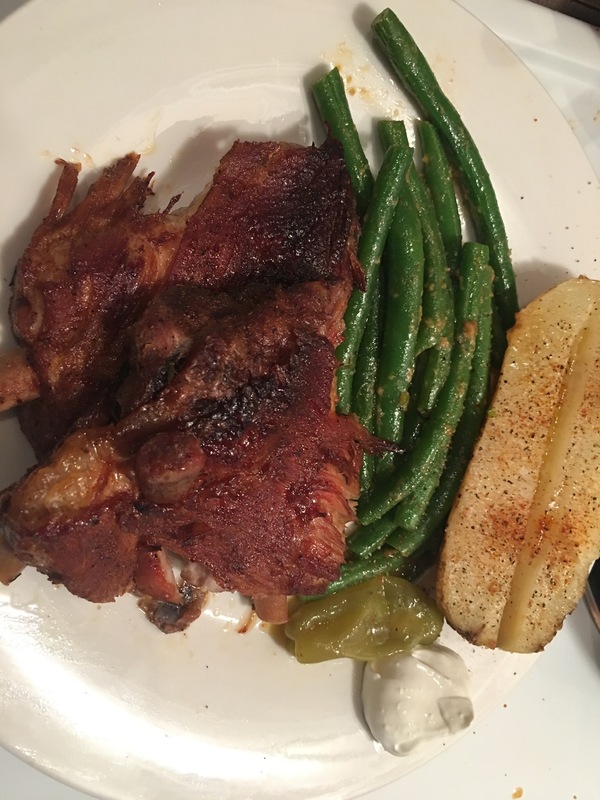 Pork ribs in the crock pot with baked potatoes and green beans – Hurried Home Chef! 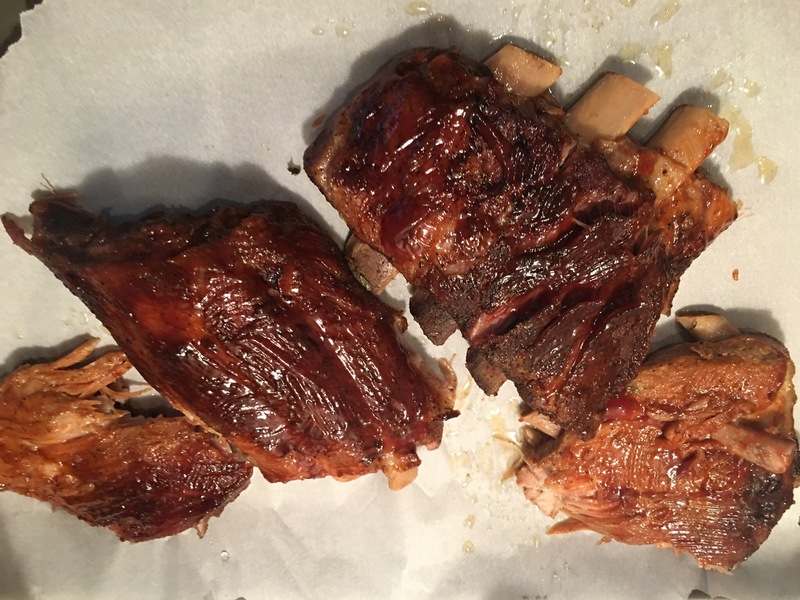 I’ve never made ribs before, so I’m totally winging this one. I found them on sale at the store and figured I would try. 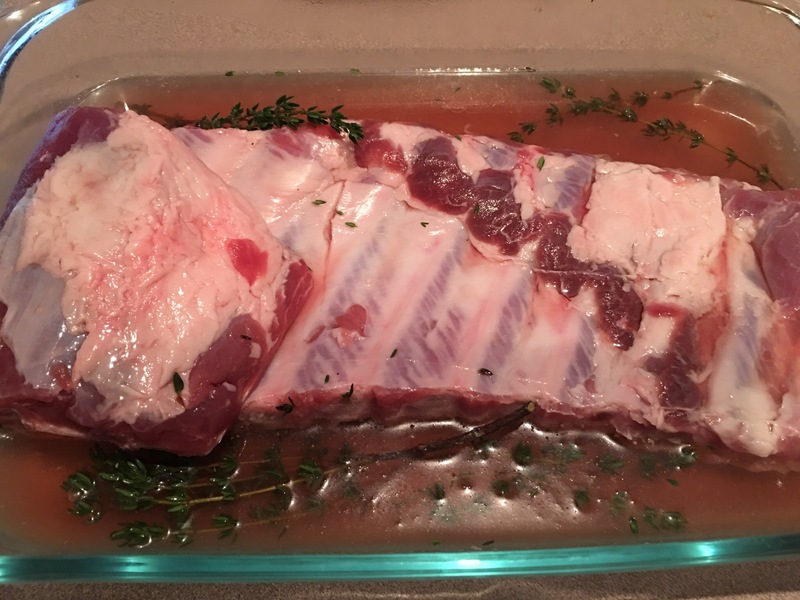 First, I soaked it in beer with some fresh thyme and left it covered in the fridge overnight. 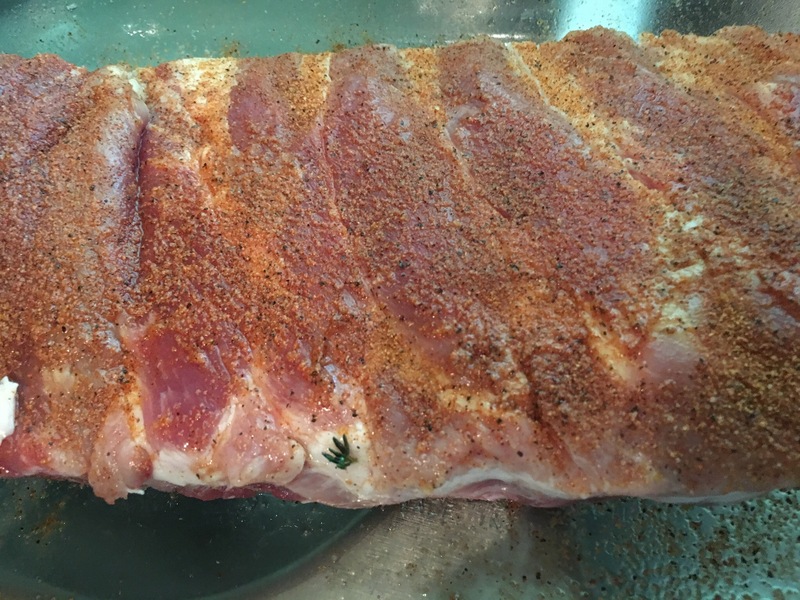 In the morning, I took it out of the beer, pat dry, then seasoned with a premade pork rub. 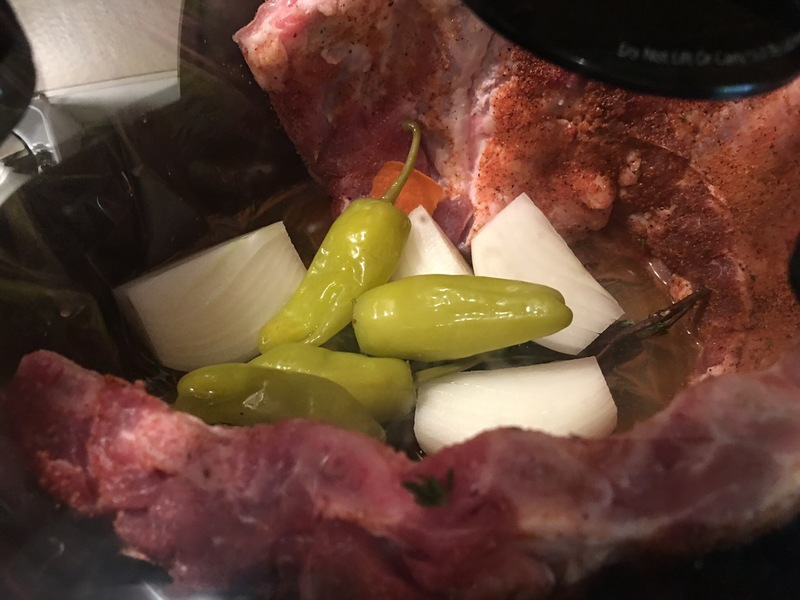 In the crock pot, I stood them up in a circle, added some of the beer, thyme, an onion, a few pepporcinis with some of the liquid from the jar. Low for 8 hours. Then it went onto ‘warm’ for another 2 hours until I got home. They were falling off the bone, I couldn’t remove it in one piece. I brushed a little BBQ sauce and put in the oven on broil (low) and the sugar in that sauce made a great crisp crust. Watch this step carefully. It’s fast. Keep the oven door cracked and just watch. About 3-6 minutes. I put a potato in the microwave and spilt it in half, also I put some green beans on the stove with some EVOO, butter and garlic. It was good! Soft inside, crispy crust, some heat from the peppers, and totally worth it. Dinner for two for less than $15 and it’s damn impressive looking, Yay! Previous Post Spinach stuffed chicken with brussel sprouts and sweet potatoes.